Distilled from his far-flung adventures—sailing solo across the Atlantic, navigating with Omani tribespeople, canoeing in Borneo, and walking in his own backyard—the author of The Natural Navigator re-introduces us to water, our most ubiquitous resource yet among the least understood. 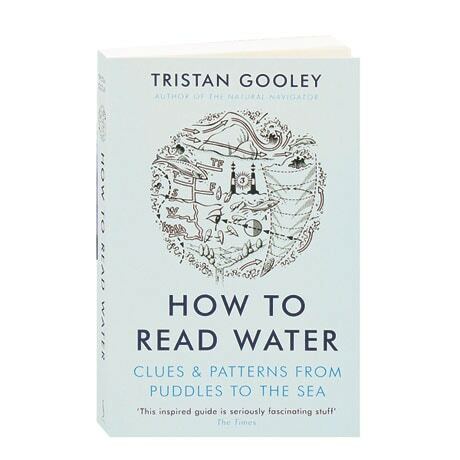 In this illustrated guide, Tristan Gooley offers hundreds of tips and suggestions, explaining how to use puddles to find magnetic North, spot dangerous water in the dark, and forecast the weather from watching the waves. Traversing the globe and referencing naval and scientific history, Gooley writes with contagious enthusiasm about the laws and principles that govern the activities of water, and provides memorable portraits of those who live on or near the sea.